US equity indexes closed broadly higher, sp +22pts (0.8%) at 2896. The two leaders - Trans/R2K, settled +1.1% and +0.2% respectively. 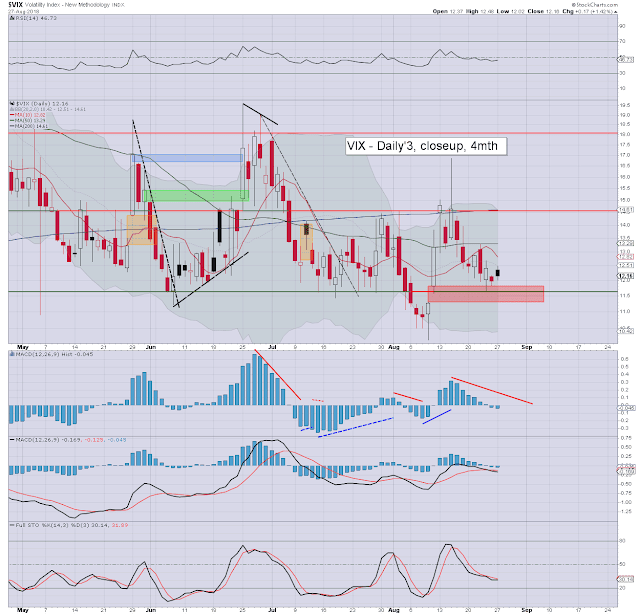 VIX settled +1.4% at 12.16. Near term outlook offers Tuesday chop/mild cooling, with August to settle around sp'2900. 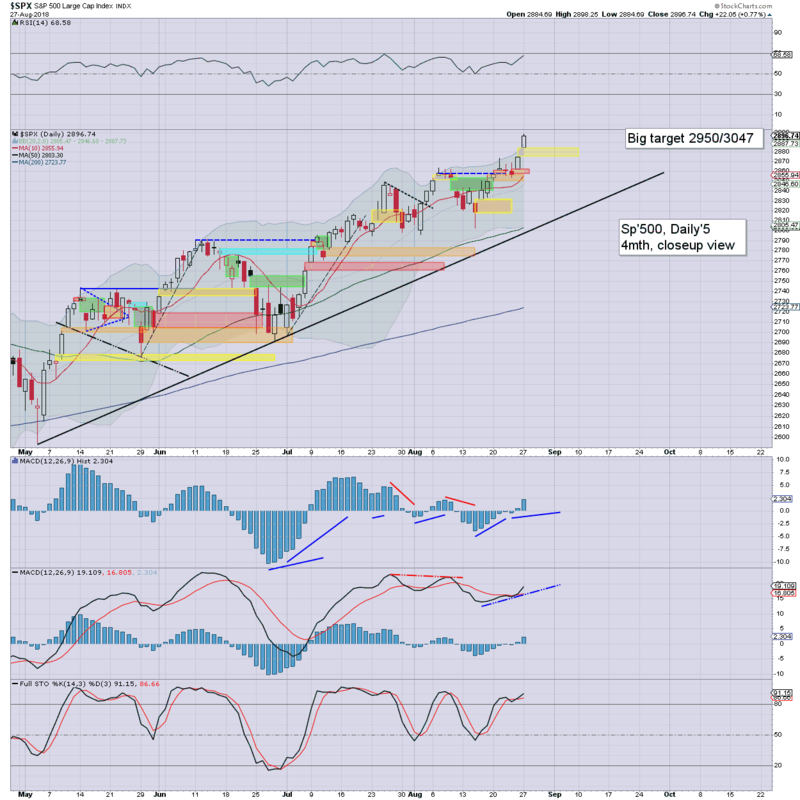 US equities began the week on a positive note, with new historic highs in the sp'500, nasdaq comp', and the R2K. 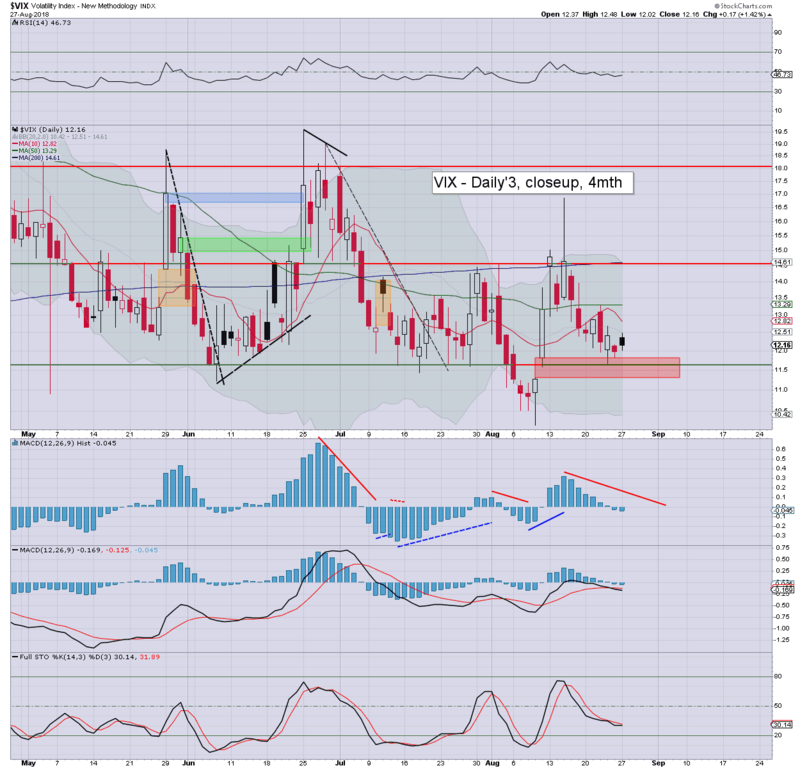 Volatility was naturally subdued, with the VIX settling in the low 12s. At the start of the year I laid out a pretty clear outlook, specifically an end year target of 3245. However, it was always going to be the case that there would be strong aspects of resistance, arguably starting around 2950, to psy'3000 itself, and then giant fib' of 3047. To me, any price action >3047 will give renewed confidence the 3200s are viable into year end. Clearly... that does look a stretch, but the current trend is certainly to the upside.